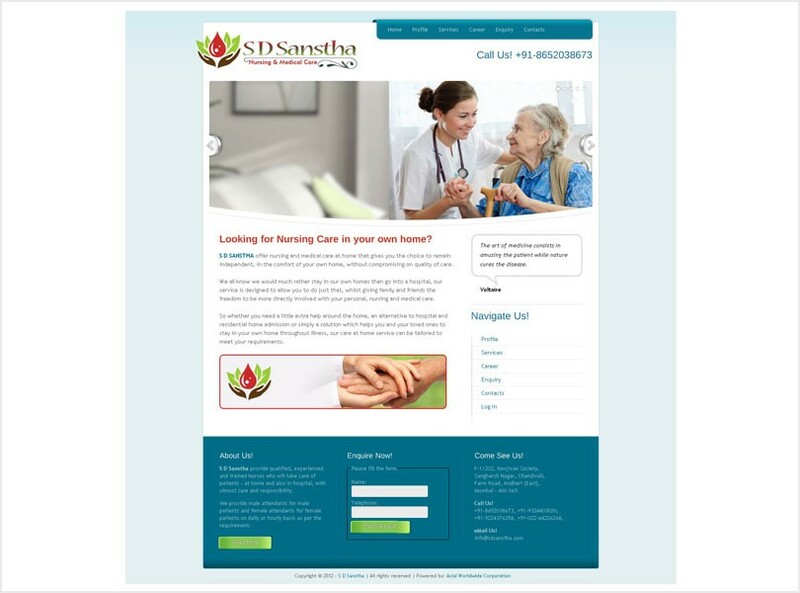 S D SANSTHA offer nursing and medical care at home that gives you the choice to remain independent, in the comfort of your own home, without compromising on quality of care. We all know we would much rather stay in our own homes than go into a hospital, our service is designed to allow you to do just that, whilst giving family and friends the freedom to be more directly involved with your personal, nursing and medical care. So whether you need a little extra help around the home, an alternative to hospital and residential home admission or simply a solution which helps you and your loved ones to stay in your own home throughout illness, our care at home service can be tailored to meet your requirements.